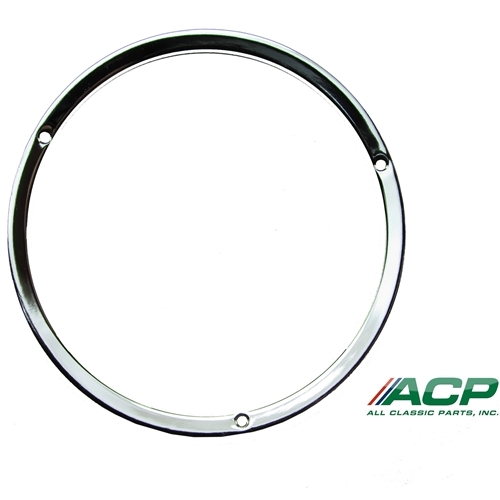 The 1967 and 1968 Headlamp Door Trim Rings were originally painted body color, but these new bezels / doors are plated with a quality chrome finish. These chrome finish rings will really accent your Mustang. The doors have the correct chamfered screw holes. Sold each, so purchase two to do one car.